This intriguing and instructional picture book takes readers on one rock's geological odyssey through time. Gorgeous, full-color illustrations and a detailed timeline of a rock's journey teaches students about earth science and the geologic cycle. Includes glossary of geological terms. About Diane Nelson Spickert (Author) : Diane Nelson Spickert is a published author of children's books. 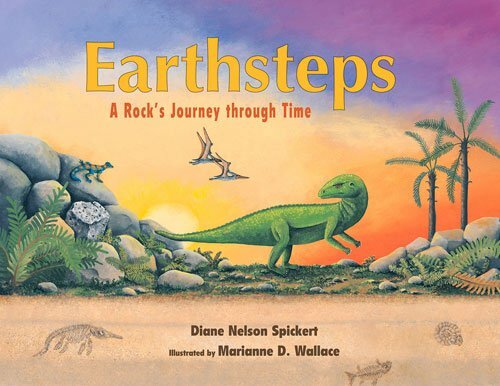 Published credits of Diane Nelson Spickert include Earthsteps: A Rock's Journey Through Time.